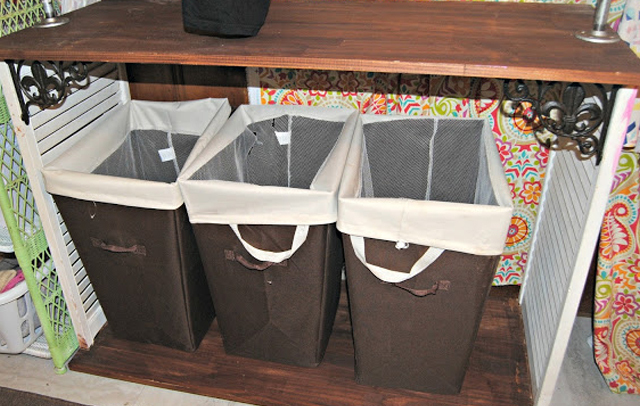 One thing I struggle with as a home maker is laundry and how to keep it organized. So I set out to make it easier and more organized to sort our clean laundry. Let's face it, with a 7 year old and a 13 year old, we have a lot of laundry and kids are not the best at keeping it organized. For extra stabilization, I added the shelf brackets. They also add a bit of decorative detail. I then added four casters on the bottom to make it mobile if I wanted to move it. I stained the wood a pretty dark color. I plan on painting the shutters but I have not decided on what colors to use. I added pipes to hang my clothes on and keep hangers. That way I can pull cloths out of the dryer and either hang them up or sort them into the appropriate bin. There is a clothes hamper for each of us. I am a fly by the seat of my pants DIY kind of girl, so I do not always make plans. I am very organic and go with the flow, so if something does not work I just figure out something else. It took me a while to find baskets to fit. I needed at least three, all though four would have been better so I could have had one for linens and towels. I am very excited with how this turned out. It works well for my family. I give each kid their own basket and they have to put their own clothes away. (Or at least they are supposed to.) 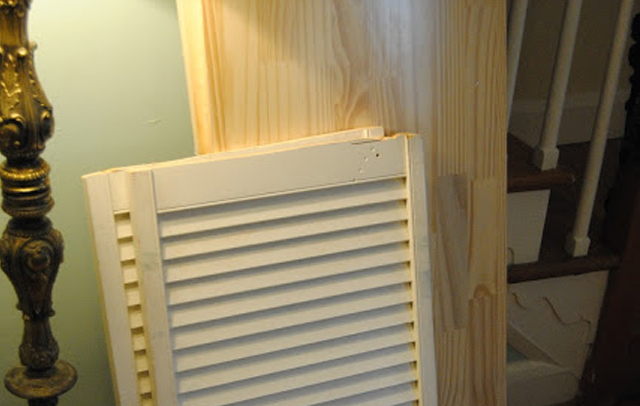 I am still working on my laundry room so I will probably paint it eventually. That room is not a priority for me right now. 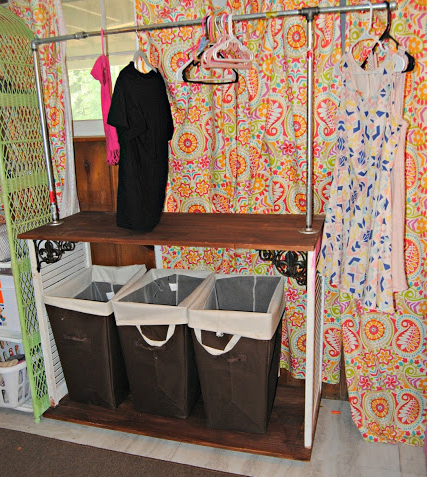 Do you have any good organizing tips or projects to share? I love this! I have baskets on the floor, and that's just not cutting it anymore. I'm trying to be more organized!! Omg!! It turned out amazing. I love it you did a great job. I love this idea!! I've looked at the cheap ones but this is nice & doable!! Thank you for the inspiration!